During the hours spent in the woods (by mountain bike, while walking, picking herbs and mushrooms) we often asked ourselves what were the magnificent trees and grasses around us. Despite years of style scout Junior Woodchucks were a few memories ... I decided that the best thing was to read up on the mountain trees, in order to recognize with fewer features than we had faced. So this wants to be, without any pretensions instructive, a simple guide to learn about the trees of our mountains. 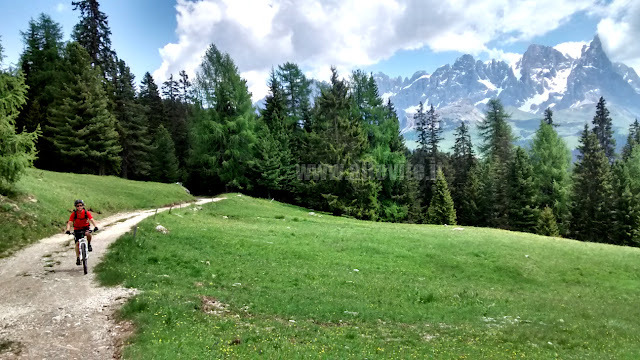 The best way to learn to recognize the mountain trees with this short guide, and to take walks to consult it on their mobile phones, in particular looking at the pictures (just like we did). Here the italian version of this atlas. Resinous tree grows to 45-50 mg, you can be found at medium altitudes between 1,200 and 1,800 m. Forms pure or mixed forests with beech trees, firs, larches. Leaves: needle-shaped, long 1.5 - 2.5 cm, inserted individually and arranged all around the branch. Chioma: pyramid, the young branches facing up, pendants lateral branches festooned. Bark: thin, gray-reddish, chapped rounded plaques. Seafood: the pine cones are pending, of cylindrical shape, form 8 - 15 cm, with many thin scales, reddish in color at maturity, when whole fall to the ground. We can define it the ruler of the mountain forests: it manages to grow for the first 10 years of life in shaded areas (north slopes or under dense woods) needle-like plant which grows to about 40 m, lives in forests at altitudes of between 500 and 1,900 m.
Leaves: needles with a rounded tip, flattened and placed individually in the branch. The upper surface is dark green, shiny and smooth, while the bottom has a light color and touch looks hairy. 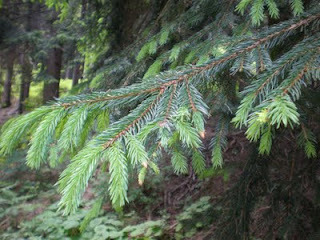 Unlike the spruce needles are arranged dishes like teeth of a comb with respect to the branch. Crown: if the plant grows isolated presents thick branches up to low height, if instead is located in close contact with other trees, the stem remains bare up to great heights, to expand the branches in closest contact with the light. The shape is a pyramid, the tip, however, blocks the growth of the underlying branches, giving the plant a slightly flattened appearance on the head. The main branches are developed regularly around the trunk and in the horizontal direction. Bark: in the young plants has a silver-gray color. In older ones the cortex thickens squamandosi into thin plates, with cracks by vertical movement. Seafood: are located on the upper part of the plant, facing upwards. They consist of thick scales, initially green and later red-brown color. Tree with a light gait, can reach 35-40 m in height. Love light, and also manages to install itself in poor soil. 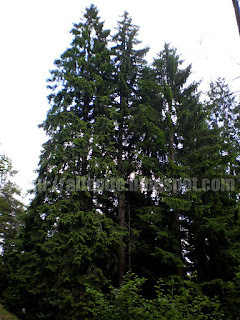 It is located at altitudes not as high as the fir trees, at an average of 1,000 m and up to about 1,400. Leaves: needles can reach 5 cm, are grouped in pairs all around the branch. Crown: the branches are little abundant and grow in an irregular manner mainly in the high part of the plant. Fruits: it generates woody cones, ranging in size from 4 to 7 cm long, when ripe open big umbrella plaques. It is in Mediterranean mountainous regions, or on the south-facing slopes in the low-medium mountain areas; It is a hardy plant that grows on the poorest soils. It has an upright habit with the stem straight and tapered that can reach more than 30 meters. Leaves: The needles are long between 8 and 15 cm, collected in bunches of two, dark green. 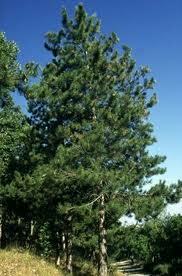 Foliage: rounded or pyramidal, the branches are distributed throughout the frame in horizontal tending upwards. Bark: varies in color from brown and gray, very thin cracked plates. Fruits: conical, maturity open into rigid and woody languages. 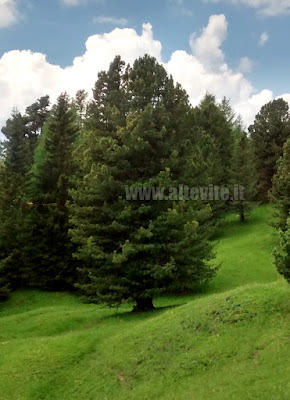 It 'also known as Arolla pine or Austrian stone pine or just Stone pine. Reaches heights between 15 and 25 m and fits well in cold and windy areas, typical of the high mountains, or between 1,600 and up to 2,100 m., Thanks to the strong roots that anchor it to the cracks between the rocks. Leaves: needles, 5-8 cm long and purposes, are collected in bundles of 5. Chioma: tends to cylindrical, with thick branches that look upward. Bark: smooth and grayish in young plants, while in older ones tend to red-brown and slit in small vertically striated plaques. 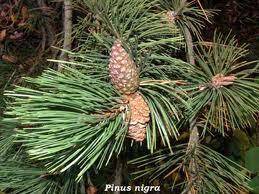 Seafood: the pine cones are ovoid and woody, not more than 8 cm long and therefore not hang down from the branches. Do not open the scales, freeing the seeds only once dropping to the floor. This is the only needle-like deciduous tree, whose leaves then turn yellow and fall through the winter. This happens to withstand the cold winter climates, since the larch can reach the limit of the vegetation units (up to 2,300 m), also thanks to the strong roots that are able to anchor itself to the most rugged terrain. Leaves: The light green color, are grouped in small tufts arranged around the branch and stuck to it through small, short branches. As said, in autumn they turn yellow and fall. Chioma: It 'pyramid, sparse. The main branches arranged horizontally, the secondary ones hang from these. Bark: grayish surface is divided into small irregular plates which are showing the reddish color of the underlying cortex. Fruits: oval, large only 3-5 cm, hanging is the main branches to secondary storage. Also knwon as creeping pine, dwarf mountainpine, mugo pine, mountain pine, scrub mountain pine or Swiss mountain pine is a needle-like shrub that, thanks to its particular shape sliding to the ground, unable to live far beyond the tree line, in particular between 1,700 and 2,500 m on rocky and rough terrain. 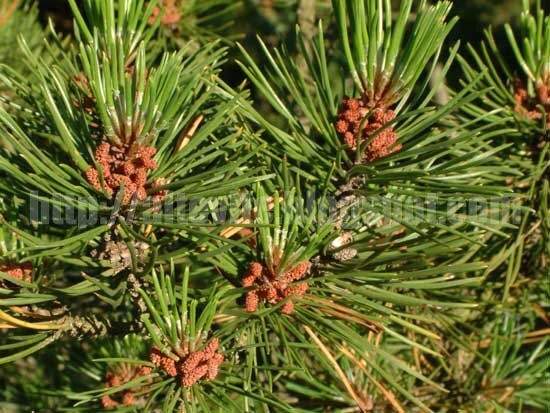 Leaves: dark green color and length of 3-5 cm, are grouped in clusters of 2 or 3, like the needles of Scots pine. Chioma: despite the various forms depending on the variety and environmental conditions, usually in the alpine environment the branches are spread along floors to protect themselves from mountain winds, in thick rugs on the ground, leaning finally to the top. Bark: being a shrub does not present a real trunk. In any case the bark is grayish and form small scales. 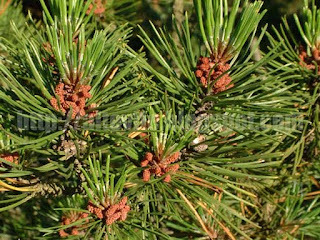 Fruits: large between 3 and 5 cm, the pine cones are woody and oval shaped. They are located in the terminal part of the branches, firmly to them. 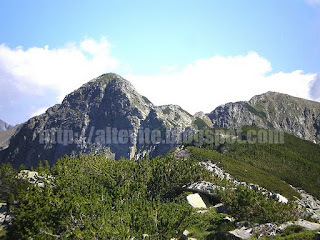 If this post it thought it useful, do not miss the second part of the small atlas of mountain trees, or if you like the herbs I've also written about them!